It’s hard to find a great bargain at ski resorts during prime holiday time. But, a family ski trip doesn’t necessarily have to cost an arm and a leg. With a bit of digging, you can sometimes uncover a diamond in the rough. Sunday River, ME. The "Perfect Kids" programs feature a separate learning area. The resort has three licensed daycare facilities for children 6 weeks to 6 years. The White Cap Fun Center has a tubing park, ice skating arena and arcade. The Black Diamond Family Entertainment Series is offered during vacation periods. And, they say they’ll practically guarantee a white Christmas thanks to their snowmaking system. 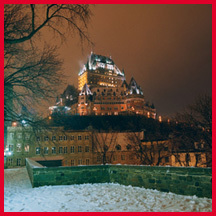 Christmas "Ski and Stay" packages begin at $85 pp/pn from December 17-25 and at $115 pp/pn during December 26-31, three-night minimum. Children 5 and under are free as long as the maximum occupancy rate for the package is met, and packages include slopeside lodging, daily adult lift tickets, and free daily adult Perfect Turn clinics. Info: www.sundayriver.com. Shanty Creek Resort & Club, MI. 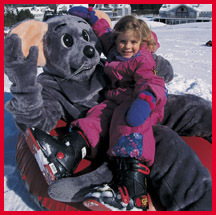 With a plethora of kids’ programs, Shanty Creek is all about families. The Value Ski Package 3-Days/2-Nights is valid from Dec. 22-25, 2006; it includes: two nights’ lodging, three-day lift ticket, and all taxes. Children 17 and under sleep and ski for free when in same accommodations with parents(maximum four children per room); price for two adults, two kids: $328 in a standard guest room; $492 in a one-bedroom condo. The Holiday Ski Package 4-Days/3-Nights is valid any three nights from Dec. 26-31, 2006 and includes: three nights’ lodging, four day lift ticket, and all taxes; price for two adults, two kids: $1006 in standard guest room; $1270 in one-bedroom condo. 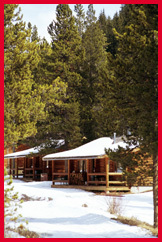 Info: www.ShantyCreek.com; 800-678-4111.